ETAN: Timorese students support West Papua. Three arrested in Dili. Timorese students support West Papua. Three arrested in Dili. A friend in Dili tells ETAN that police recently broke up a demonstration in support of West Papua. As we get more information, we will post updates on ETAN’s blog here. The morning of August 17, more than 30 Timorese students called for the right of West Papuan to self-determination and condemned human right violation by the Indonesian military and police against Papuans. The demonstration took place in front of Indonesia Embassy in Farol, Dili, on the 66th anniversary of Indonesia’s independence proclamation. Timor-Leste Police (PNTL) arrested three of the protesters — Juventina Correia Ximenes, Domingos de Andrade and Letornino da Silva. All are currently studying at Timor-Lorosae National University, UNTL. One of demonstrator, Nolasco Mendes, said that the PNTL treated the activists brutally. Police reportedly arrested the activist after the Indonesia Embassy asked the PNTL to stop the demonstration. According to a T imornewsline report the pro-Papua protesters were members of the Students Solidarity Council (Dewan Solidaritas Mahasiswa Timor-Leste) which previously fought for Timor-Leste’s independence. Timor-Leste has a strict law on demonstrations which among other things requires four days notice and bans them within 100 yards of a government or diplomatic building. What does a mining company need to do to get a top score for “corporate social responsibility”? To judge by the recent “100 Best Corporate Citizens List”, all it takes to finesse a long and controversial record of human rights abuses is to come up with a piece of high-minded rhetoric, then carry on as usual. 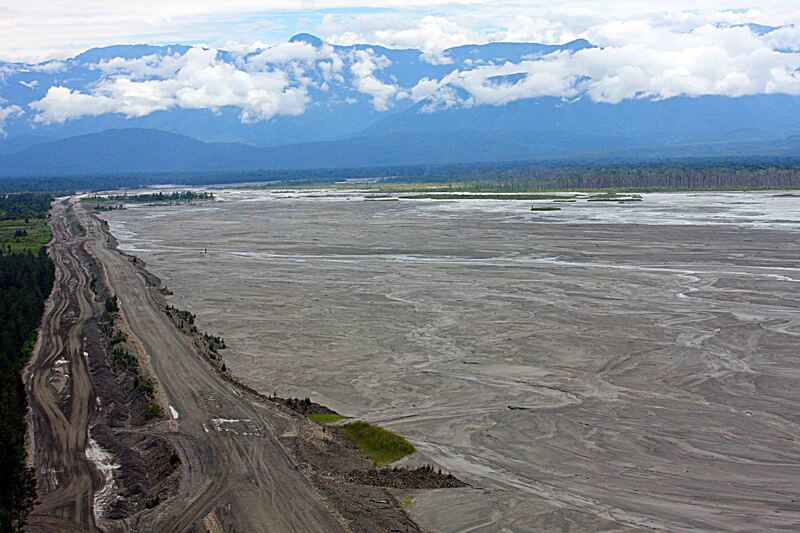 Human rights advocates and those who have studied the record of Freeport McMoran in West Papua were startled to learn that Corporate Responsibility Magazine had named Freeport as the 24th-best corporate citizen in America (click for the full list). More startling still, the company scored well based mainly on a sixth-place ranking in the human rights category. How is this possible? Well, the survey’s methodology seems to pay no heed to human rights performance. Only human rights rhetoric matters. And in that, Freeport excels. A strong written policy on human rights declares: “Freeport-McMoRan does not tolerate human rights transgressions.” It points to rights risks in West Papua, Peru, and the Democratic Republic of Congo, and adds that PT Freeport Indonesia policy is to “notify the direct commanders of the perpetrators” in cases where human rights allegations are made against Indonesian security forces. Since reputable human rights groups suggest that the top ranks of the security forces are implicated in widespread human rights violations in West Papua, this is hardly striking at the root of the problem. As local people have pointed out, and researchers have confirmed, Freeport’s performance is a far cry from the written policies. The main trouble is intimate ties to Indonesian security forces. Security forces may be implicated in the murder of American citizens near the Freeportmine, as Eben Kirksey and Andreas Harsono have reported. Violence around the mine is used by security forces to target and scapegoat local people. In 2005, the New York Times revealed thatFreeport paid the security forces more than $10 million in 2001 and 2002. Payments are now made “in-kind” rather than in cash. The local Amugme people have long protestedFreeport seizure of their lands. Pictures of Freeport’s Grasberg mine from space (left) show the scale and environmental impact in the mountains that are home to the Amungme. And lest all of this be hailed as “old news,” the Amungme filed a lawsuit last year sayingFreeport had taken their lands illegally. Meanwhile, the Indonesian army’s presence around Freeport, and the company’s close ties to Indonesian security forces, were reinforced this year. The continuing alliance between Freeport Indonesia and the Indonesian security forces is likely to exacerbate, rather than improve, the human rights situation. None of these reports are taken in to account in the “100 Best Corporate Citizens List.” All the human rights indicators measure “human rights disclosure” and the sole source, according to the methodology details, comes from “Company public disclosures” – a corporation’s own information about itself. The methodology, in other words, measures promises, not performance. There are parallels to the debate over whether companies accused of operating sweatshops overseas can be trusted to police themselves, or should accept independent monitoring. Thus the list cites the voluntary “Sullivan principles” first created under the Reagan administration and welcomed by companies resisting demands to divest from apartheid South Africa. AndFreeport boasts of adherence to the Voluntary Principles on Security and Human Rights, launched by the British and American governments in 2000. The key word here is “voluntary.” As with the mining industry globally and with businesses jumping on the corporate social responsibility (CSR) bandwagon more generally, companies are happy to promise good performance, as long as no one will be looking over their shoulders. So perhaps it’s no surprise to learn that Corporate Responsibility Magazine is in fact published on behalf of the Corporate Responsibility Officers Association, a body made up of many of the companies being judged, and steered by such firms as Domtar and KPMG.Freeport is listed as a “recent member” of the CROA. It’s advanced in the listings – it was ranked 83rd in 2010. Freeport is no champion of the best values of corporate citizenship: For human rights activists, it’s long been a poster child for corporate irresponsibility. A list of good corporate citizens with Freeport winning laurels demonstrates more than flaws in the study. As George Monbiot has written of climate change credits, the lists offer corporations a new form of medieval European Catholic “indulgences,” forgiveness for any form of offence. Jeff Ballinger recently pointed out on this blog that companies like Nike are wrapping themselves in the CSR garment to burnish their corporate images, despite continuing disregard for many labor rights. Freeport, too, is now having itself measured for a fine CSR wardrobe. David Webster is an assistant professor of International Studies at the University of Regina inSaskatchewan, Canada. He is a former coordinator with the East Timor Alert Network/Canada. The East Timor and Indonesia Action Network (ETAN) and the West Papua Advocacy Team (WPAT) urge the Indonesian Government to respect the rights of and end the persecution of internationally recognized prisoners of conscience Filep Karma and Buchtar Tabuni who were transferred from Abepura Prison to Jayapura Police Headquarters on December 3. ETAN and WPAT also urge the U.S. government to use its considerable influence with the Indonesian government and police, deriving in part from its extensive assistance to and training of the police, to ensure that persecution of these prisoners of conscience ceases. The transfer of Karma, Tabuni and several other prisoners to the police headquarters followed a riot at the prison which in turn was prompted by the killing of one of five prisoners who had escaped the previous day. The authorities are accusing the two activists of inciting the riot. However, reliable reports says that Karma and Tabuni had sought to calm the situation at the prison. Karma is serving a 15-year sentence for raising a Papuan flag in 2004, while Buchtar Tabuni is serving a three-year sentence after supporting the launch of International Parliamentarians for West Papua in October 2008. Since their transfer to the police headquarters Karma and Tabuni reportedly have had very limited contact with their families and no contact with legal counsel. Karma has launched a hunger strike in support of his demand for proper treatment for himself, Tabuni and the other transferred prisoners, including access to adequate food or drink. ETAN and WPAT note that Article 10 of the International Covenant on Civil and Political Rights requires that “All persons who are deprived of their freedom must be treated humanely and with respect for their dignity as human beings.” ETAN and WPAT also note that under Indonesian regulations Karma and Tabuni are entitled to correspond with and receive visits from their families, legal counsel and others. ETAN and WPAT are also deeply concerned that the Indonesian authorities may seek to pursue charges against Karma and Tabuni related to the prison riot. Such a course would be particularly ironic insofar as the Indonesian authorities have failed to prosecute the security force personnel who were recorded torturing two Papuans in May 2010. Observers in West Papua are concerned that the authorities may transfer Karma and Tabuni to the infamous Nusakembangan prison in Java, where violent criminals are incarcerated. As nonviolent prisoners of conscience, Karma and Tabuni would be at risk. Such a transfer would also make it much more difficult for their families and counsel to monitor their welfare. 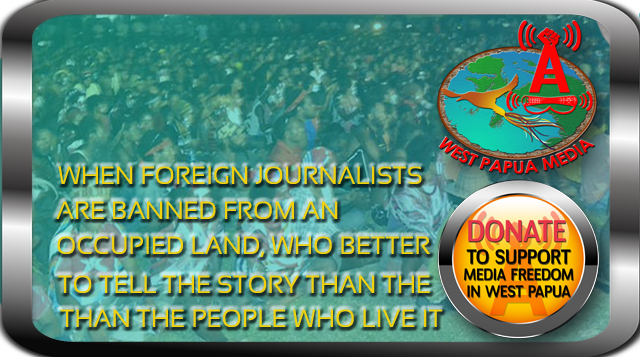 ETAN and WPAT strongly urge that Karma and Tabuni not be transferred out of West Papua. This is the 77th in a series of monthly reports that focus on developments affecting Papuans. This series is produced by the non-profit West Papua Advocacy Team (WPAT) drawing on media accounts, other NGO assessments, and analysis and reporting from sources within West Papua. This report is co-published with the East Timor and Indonesia Action Network (ETAN) Back issues are posted online at http://etan.org/issues/wpapua/default.htm Questions regarding this report can be addressed to Edmund McWilliams at edmcw@msn.com. More than a score of international non-governmental organizations called on President Yudhoyono to release Papuan Political Prisoners in commemoration of Indonesia’s August 17 Independence Day. Although the President did release and reduce sentences for convicted terrorists and common criminals on the national day, he did not respond to the appeal regarding political prisoners. The Indonesian Government has banned activities by Cordaid, a Dutch humanitarian organization that has aided poor Papuans for over three decades. The action is reminiscent of the Indonesian Government’s banning of International Committee of The Red Cross in West Papua in 2009. The Indonesian Commission on Human Rights and Papuan churches have urged the Indonesian government to reconsider its security approach in the Puncak Jaya region and address the growing violence there, including attacks on churches. The Indonesian government is under growing pressure to investigate the mysterious murder of a journalist in Merauke. Local police claim he committed suicide. The murdered journalist had built a reputation on investigation of illegal military businesses. The murder comes at a time of growing tension in the area as corporate interests seek to develop a massive food plantation. A video circulating widely on YouTube reveals the final moments of a Papuan bayoneted while in custody as he is taunted by the police. Twenty five international non-governmental organizations have urged President Yudhoyono to release Papuan Political Prisoners. The August 16 letter which on the President to announce the release in the context of August 17 Independence Day celebrations. The letter also urged him to amend the Indonesian Criminal Code which criminalizes peaceful political protest and to investigate and prosecute prison warders guilty of abuse of these prisoners. The NGO appeal noted that Indonesia’s incarceration of peaceful political dissenters violates Indonesia’s commitments under the International Covenant on Civil and Political Rights which Indonesia ratified in 2006. Indonesian authorities also have incarcerated Moluccans and others engaged in peaceful protest. There continue to be credible reports that political prisoners are being mistreated in custody. President Yudhoyono has failed to respond to the NGO appeal though he did announce release of criminal prisoners, including those convicted of crimes of violence. The Jakarta Post, August 6, reported that the Indonesian government has banned Cordaid, a Dutch funding agency, from operating in West Papua. Cordaid has operated in West Papua for over three decades, assisting Papuan NGOs and the Papuan people more generally with a focus on social development and economic empowerment for the poor. The ban came in the form of a refusal by the Ministry of Social Affairs to extend an existing Memorandum of Understanding that had expired in April of this year. The Government announcement that Cordaid must end its activities came in the form of a July 23 letter from the Social Affairs Ministry that responding to the standard request for an extension. In rejecting the extension the Ministry, according to the Post, voiced suspicions regarding Cordaid’s exchange program between Papua and Mindanao, a restive region in southern Philippines –the program promoted participation of women in development from a faith-based and women’s perspective. The Government suspicions included purported Cordaid support for separatist elements. In her written response to the Ministry, Cordaid sector manager Margriet Nieuwenhuis strongly denied that Cordaid helped Papua separatists. “The participants met only with Mindanao community groups and women leaders, not with political actors,” Nieuwenhuis said, adding that the program had been stopped. The Jakarta Post reported that the July 23 letter also alleged that Cordaid had violated a “principle provision” in the memorandum of agreement with the Indonesian government. The letter claimed that “Cordaid has been involved in commercial and political activities by being a shareholder of Bank Andara and sponsoring the participation of a community group in the “Initiatives for International Dialog (IID).” The Indonesian ministry contended that IID supported secessionist movements in southern Thailand, Myanmar, the Philippines and Indonesia.” The government requested that Cordaid hand over ongoing projects to its local partners and neither expand the scope of the projects nor extend deadlines. While adhering to the ban, Cordaid said its share in Bank Andara was less than 10 percent and that its participation in the program was directed toward support of microfinance institutions, particularly those with a strong focus on poverty reduction, helping clients who are considered too poor by other financial institutions to get loans. The government’s policy to ban Cordaid was criticized by prominent human rights lawyer Totdung Mulya Lubis who said the decision was taken “too hastily” and without sufficient evidence. “It could set a bad precedent and lead outsiders to believe Indonesia is isolating Papua,” he said. Lubis pointed out that the government needed foreign donors to help develop Papua, one of Indonesia’s poorest regions. The Post quoted Lubis as observing that “to stop foreign social funding is akin to killing off NGOs in Papua, which almost entirely depend on overseas funding. WPAT Comment: The decision to close the Cordaid office in West Papua parallels the decision to close down operations there by the International Committee of the Red Cross (ICRC) in 2009. Cordaid, like the ICRC, is seeking to negotiate its return to West Papua quietly. Shutting down the operation of these respected humanitarian organizations is consistent with the Jakarta policy to limit international assistance to Papuans who for decades have suffered from a dearth of basic humanitarian services and respect for human rights, areas of need that Cordaid and the ICRC respectively were manifestly addressing. The decision also is consistent with Jakarta’s long standing campaign to limit international awareness of Papuan suffering. Finally, it is noteworthy that closing the operation of these two organizations which have done so much good for Papuans was a decision taken exclusively by Jakarta with no involvement of Papuans. These two episodes underscore that the promise of “special autonomy” is hollow. The Papuan branch of the National Human Rights Commission (Komnas HAM) urged the Indonesian police and military to cease their military operations in Puncak Jaya district, in an August 11 statement by Mathius Murib, deputy chair of the organization in Jayapura. The public appeal came on the heels of a visit to the area by a Komnas HAM team to investigate recent incidents. The team, which Murib led, urged senior police officials in Puncak Jaya to initiate legal proceedings against all those persons or groups involved in the Puncak Jaya case from 2004 rather than simply employ armed force. Murib noted that from 17 August 2004 up to August 2010 the inhabitants of Puncak Jaya have lived in a constant state of trauma because of reports that dozens of civilians as well as members of the security forces have been killed in Puncak Jaya. Murib urged that the police and the military immediately stop all operations to hunt people down in Puncak Jaya district and consider instead other ways of resolving the problems there. “We believe that force of arms or other forms of violence will never resolve these problems and will only lead to yet more problems and more casualties,” he said. He also urged the civilian population in the area to remain calm, work together, and avoid being provoked by irresponsible elements. Murib said that Komnas HAM will be urging the district chief of Puncak Jaya as well as civil society, in particular the church, to draft a comprehensive account of developments during the current year. Murib explained that the role of the church in particular was important. Church leaders in the Puncak Jaya region on August 18 called for an investigation of shootings which have targeted churches in Puncak Jaya since 2004. Rev. Socrates Yoman, President of the Fellowship of Baptist Churches in Papua, called for creation of an “independent team” to investigate the attacks. The Jakarta Post reported that Yoman’s call has been echoed by other Papuan religious leaders including the Indonesia Christian Churches (GKI) of Papua, Indonesia Bible Churches, the Kingmi Synod of Papua, the Catholic Diocese of Jayapura. All specifically call for an independent investigation of the attacks. For its part, the Fellowship of Baptist Churches of Papua urged the provincial council and the Papuan People’s Assembly (MRP) to immediately invite the Governor and police and military chiefs to explain about the violence to the public and appealed to people to remain calm. The July 30 murder of journalist Ardiansyah Matra’is in Merauke and the failure of the Indonesian police to seriously investigate the crime has drawn growing criticism. A police autopsy of the victim revealed that Matra’is was struck by several blows before falling into the water and drowning in Maro River, Merauke. The Indonesian police spokesman in Jakarta acknowledged that several of Matra’is teeth were missing and that there was swelling in several parts of his body, wounds likely to have resulted from his having been struck with a blunt implement. The Merauke police, however, rejected the announcement in Jakarta, saying that Matra’is had probably committed suicide. Nezar Patria, the chairman of the Alliance of Independent Journalists (AJI) stated that the police should immediately investigate who murdered Matra’is, adding that it had sent a representative to visit Jayapura and trying to arrange a meeting in Jakarta with the national police. Forkorus Yoboisembut, the chairman of the Papuan Customary Council, suggested President Susilo Bambang Yudhoyono to set up an independent team to investigate the murder of Matra’is as well as Ridwan Salamun, a Sun TV stringer in Tual, Kei Island, on August 21. Matra’is is the son of a Javanese transmigrant in Merauke. He worked mostly as a freelancer, including his latest work for the Tabloid Jubi website. He is survived by his wife and two children. The Voice of Human Rights reported that Matra’is had earlier written reports on illegal logging around Jayapura as well as military businesses in Merauke. The killing transpired at a time of growing tension in the Merauke area associated with a plan backed by the local government and Jakarta to create a massive plantation. The “development” plan would severely impact local Papuans who rely on the forest and other lands that would be consumed by the project. Local opposition and local media coverage of that protest has been under growing pressure from local authorities. Some journalists received threatening text messages in the week during which Matra’is was murdered. Complicating any effort to understand or resolve this crime is the infiltration of intelligence personnel into the ranks of journalists. The Voice of Human Rights named two men who had allegedly worked for the intelligence and infiltrated the Tabloid Jubi website. One of them is a Javanese man who originates from Rangkas Bitung, West Java, but went to college in Yogjakarta, who claimed that he is an NGO activist but also a car workshop owner, a crocodile skin trader and a political analyst. His writing revealed his Indonesian military-styled analysis about the failures of local elites in post-Helsinki Aceh and in Sarmi, Papua. He has disappeared from Papua after the Matra’is murder. Through much of August a video depicting the reality of Indonesian state security force brutality in West Papua has circulated widely on the internet. The stark YouTube video presents the last minutes of a Papuan man captured and then bayoneted by the Indonesian police (Brimob). In the video, as the man lies dying with his intestines spilling onto the ground, his head propped against a log, he is taunted and tormented by his murderers. “Oh God!” Yawan Wayeni cries a few times in pain. Instead of treating him, the policemen seen on the video continue to question and taunt him. The scene is reminiscent of the killing of Papuan resistance leader Kelly Kwalik several months later who bled to death from an untreated bullet wound to his thigh while in police custody. The torture-murder of Yawan transpired in early August 2009 but the video of his final moments surfaced only in late July 2010. During the intervening 11 months the police failed to investigate the incident. Only in the wake of the surfacing of the tape and growing international outrage did the police move to investigate. But even that tardy explanation has been inappropriate with police threats and intimidation aimed at any potential witnesses including Yawan’s wife and young family. The evidence the police have sought to suppress incriminates Yawan’s captors: Yawan was seized without a weapon and was hobbled by a bullet wound to the calf. He was secure in police custody at the time a bayonet was thrust into his abdomen. Yawan was no stranger to the Indonesian authorities and was on a police blacklist. He was the personal bodyguard of the Chairperson of the Serui Traditional Board, Yusuf Tanawani, a vocal critic of Indonesian policy. Yawan, 39, was also a member of the “Team of 100” Papuan civil society leaders who in 1999 met with President B.J. Habibie at the Palace to demand independence for Papua. It was this group that 50 U.S. members of Congress proposed that President Obama meet with during his anticipated November 2010 visit to Indonesia. At the time of his capture, as he breakfasted at dawn with his family in a potato patch on Yaopen Waropen islands, Yawan was also a wanted man. He had who escaped from Serui prison months earlier where was serving a nine-year jail sentence for state-alleged involvement in an armed raid against the employees of PT Artha Makmur Permai and the military post at Saubeba, Serui. According to the report of the Commission for Missing Persons & Victims of Violence (Kontras), during the raid the police found only Yawan’s wife and children in the hut. Yawan’s widow has stated that Yawan did not have a weapon. He had fled the breakfast site at their approach but returned when his children began crying in the presence of the heavily armed police at their garden hut. As he returned to the site of his distressed family he was shot in the calf and seized.